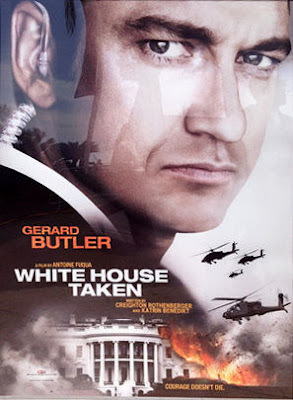 White House Taken, aka Olympus Has Fallen, is an upcoming action thriller movie starring Gerard Butler in the lead role as a former Secret Service agent who tries to prevent a terrorist attack on the White House. The film is directed by Antoine Fuqua (who helmed Brooklyn's Finest) based on a script written by Creighton Rothenberger and Katrin Benedikt. White House Taken is listed for a release in 2014 by IMDb. "The film features Gerard Butler as a disgraced Secret Service agent who fights back when North Koreans take over the White House." Will Gerard Butler once again use his mythical machine gun to preach the Word to movie villains? Well, you can sign me up for White House Taken: Gerard Butler always rules! Anyway, stay tune with us for more details about the White House Taken movie.